Looking for a quick weekend getaway to the Outer Banks? Check out our Kill Devil Hills Hideaway on airbnb.com. We also offer a discount on all of our recreational activities and rental items for our guests. We can deliver your surf boards, wetsuits, kayaks, SUPs or some beach cruisers for a great weekend away or a week long rental. 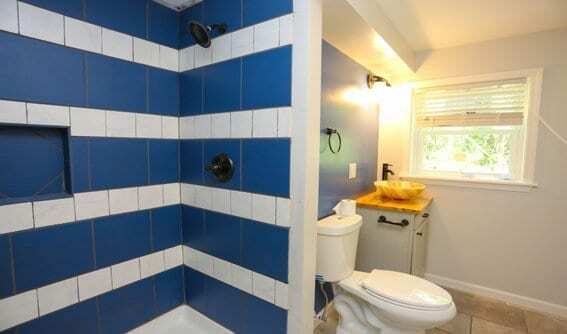 This completely remodeled 750 square foot space offers a clean and modern feel while at the beach. Decor includes tiled showers and bathroom, hardwood floors, a full private kitchen and office space are great for a couple or solo traveler. Free internet is available for all our guests. 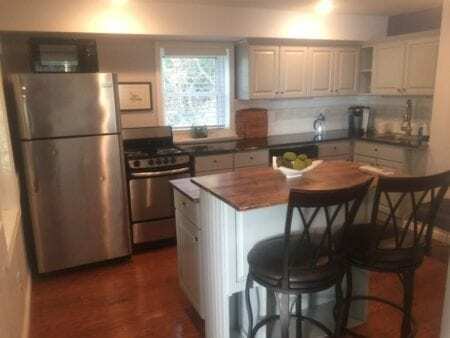 Kitchen includes coffee maker, all appliances, microwave, blender etc. (all the basics) There is a small separate office included in this one bedroom unit. Summer rentals will only be Sat-Sat. The property is located in Ocean Acres at Mile Post 8.5 in the Outer Banks. Within a 2 mile radius you have a Harris Teeter supermarket, Food Dudes, Kitchen, Mama Kwans, the Outer Banks Brewing Station, Pigmans BBQ, Duck Doughnuts, Slice Pizza, and all the usual fast food restaurants. In fact, its quite possibly the most centrally located beach property in the OBX. Of course the beach is 0.5 miles away! 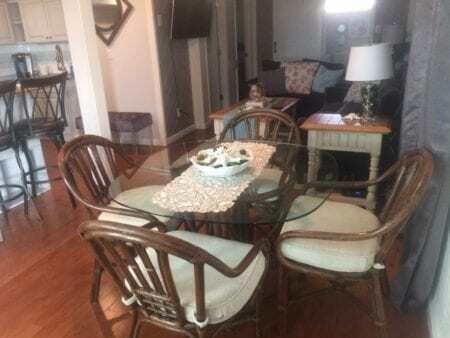 Book your stay here on airbnb.com or call us at (252) 261-0145.